Currently, our home is a disheveled state of Christmas decorations half out, half in bins and boxes while normal decor is piled waiting to be put away for the next four weeks. Our kids lists have been sent to grandparents. Gatherings, overspending and sugar saturation have begun. 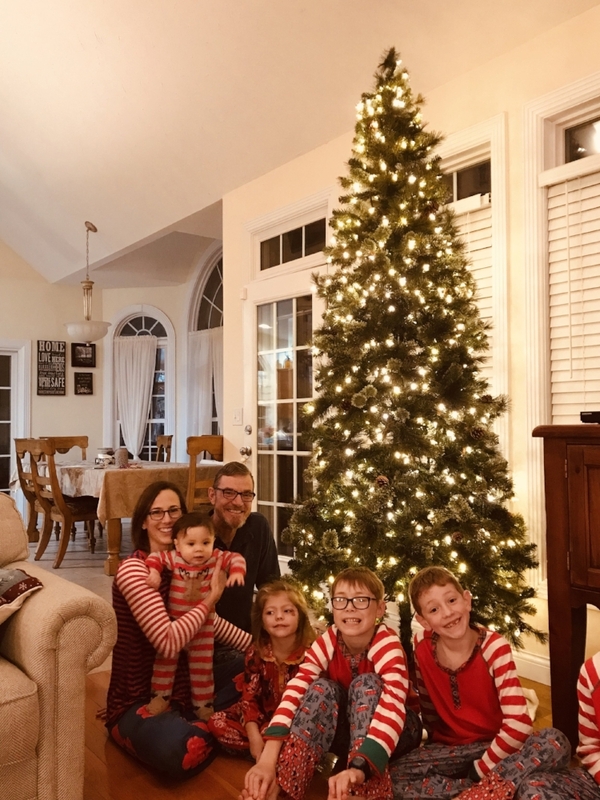 And just the other night, I set out to create our family perfection in front of our, yet to be decorated, tree in our new (Matilda Jane) Christmas jams. While these lovely pictures will not be gracing our Christmas card this year, as I had hoped, they are too great not to share! Life is real. Life with kids is humbling-ly real. While there are perfect moments, there is nothing perfect about the meshing of seven lives, people, personalities, opinions, differences…. Embrace it and enjoy it. These pictures, un-cropped, un-edited and un-filtered, will likely be some of my favorite of the 2018 Christmas season because they are the most real of my crew! Merry Christmas friends! And may your New Year be your best yet!